Let’s talk about military stuff! 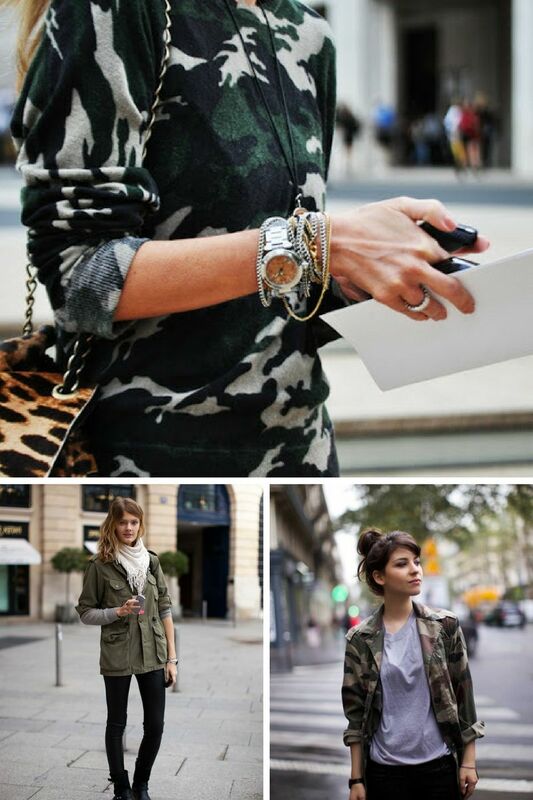 In today’s blog post you are about to see inspiring ways how to wear army trend. I am a big fan of soldier and combat inspired fashion, that’s why in this article I will try my best to show you creative and easy to copy military-inspired outfit ideas. Army fashion is all about combining that special masculine look with ladylike details. Anyway, those of you who are ready to see my favorite street style ideas, then you are more than welcome to see them below. No, No, you are not in the army, yet! Military look trend is pretty massive and it doesn’t stop, that’s why I thought it would be great to share with you my favorite ways how to wear military looks in your everyday life. In this article you are about to find out tips and ideas how to implement military uniform into your everyday looks and make it work in public, how to wear army inspired looks off duty, what military accessories work with casual and everyday clothing staples, as well as many other cool things about camouflage and green color outfits.